Hormone & Digestion Testing – Now with a Consultation! 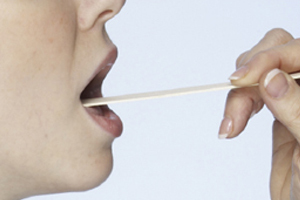 One of the most important areas that I explore as a Naturopath, is functional pathology testing, mainly Saliva Hormone analysis and Digestion Health assessments. So many people today are suffering with imbalances in these areas, and are unable to find answers from conventional blood and stool tests. These tests are very comprehensive and are targeted for specific areas of concern. They give me clear answer to work with, so that I can design treatment programs that are addressing the issues directly, rather than playing ‘hit and miss’ with supplement regimes that may or may not work. Some of the conditions picked up in these tests, such as a high oestrone level in saliva testing – or low good bacteria levels in digestion testing – can have serious health implications if left unchecked. As your dedicated practitioner, I feel personally responsible to ensure these preventable conditions are avoided. It seems like you have done a lot of research on this. Thank you for sharing, Leisa. Keep writing. Previous post: This is Not a Dress Rehearsal … What Makes Your Heart Sing?